Pre-punched, formed stainless steel steel connector available with or without bolt holes - very easy to install! 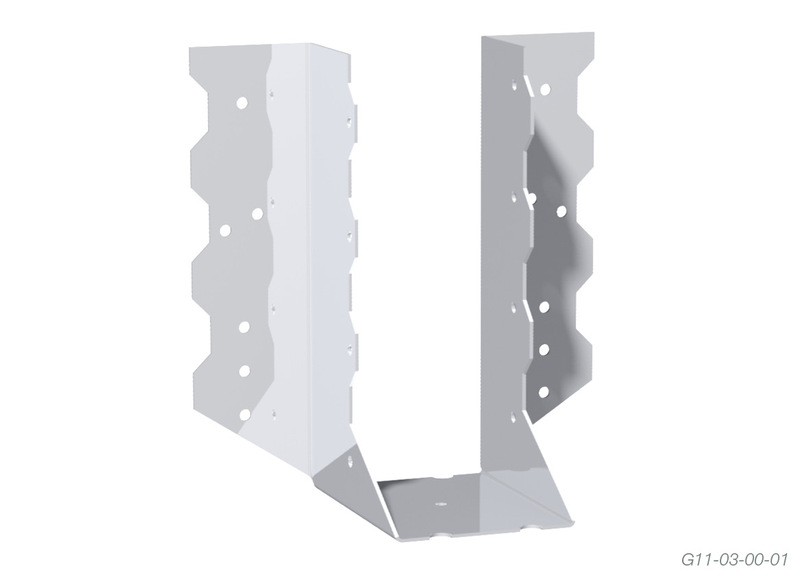 The Multinail Joist Hanger is available with or without bolt holes, allowing you flexibility in fastening the Joist Hanger to the truss or beam using nails and/or bolts. 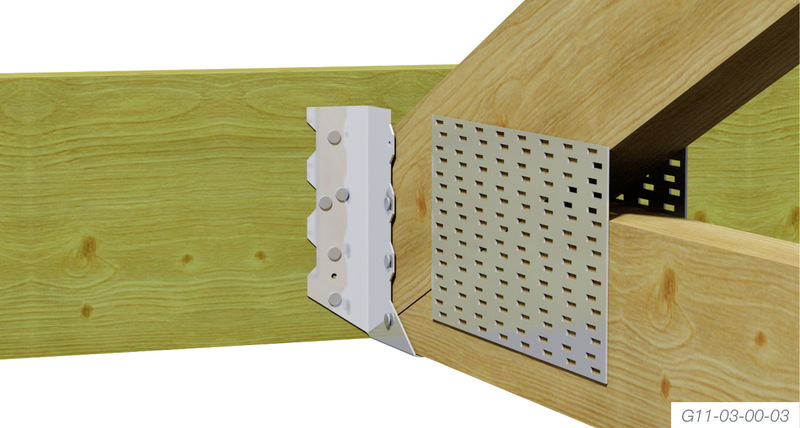 Joist Hangers are easy to install. Simply use 5/30mm x 2.8Ø Multinail stainless steel nails, through each wing to secure the Joist Hanger to the supporting member. Alternatively, use one M12 bolt, with washer, in each wing to secure to the supporting member. To secure the joist to the Joist Hanger, use 3/30mm x 2.8Ø Multinail stainless steel nails through each side. The following table gives the recommended Limit State Design capacities for Multinail Joist Hangers. 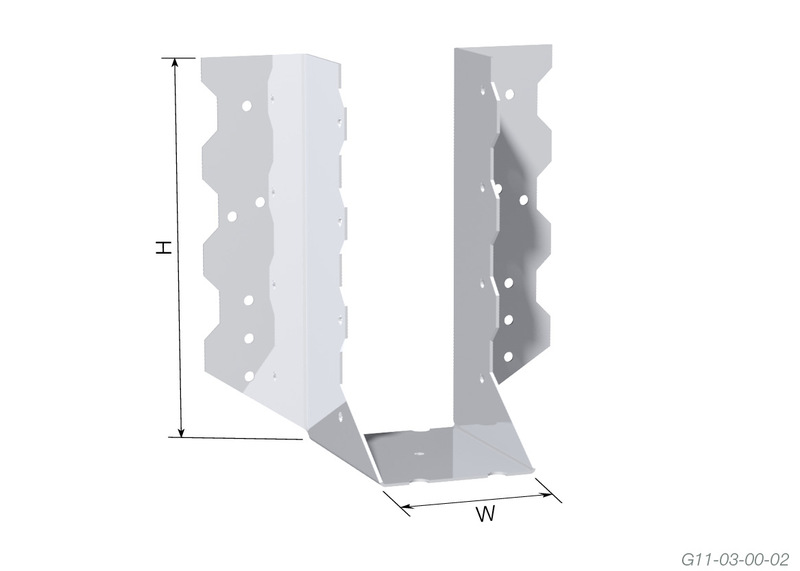 * A common joist size in Multinail software is 40x90 joist hanger which uses 5 nails per wing into supporting member and 3 nails each side to carried joist.